The townhome was very nice. Very clean. Comfortable beds and we slept really good. The one little problem we had with the TV was handled quickly. The area is so beautiful and friendly, wish we could stay longer. Thanks for helping me make a lasting memory with my grandchildren. The cabin was a perfect size for our family. Nice location: close to town and the ski slope. Very cozy cabin! Easy to use website with very friendly people. 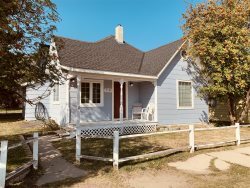 I would recommend Red Lodge Rentals. Very helpful site and information was easily accessible. We loved: Red Lodge main street was so much fun! We love all the shops and restaurants visited. Thank you! Have a Happy New Year! This home has everything you could need/want and it is top notch quality. The restoration is amazing and the decorating is as well. I highly recommend this place to any group wanting to get away. We loved it and will recommend it happily. I just wanted to say that my family very much enjoyed our vacation in Red Lodge! We loved the house and had a wonderful time. Thank you for a wonderful stay! My boys and I had a great time skiing and staying at A Chalet. We were very pleased with the condo. Staff is top notch. Best part of your rental stay: Skiing, visiting friends that live in Red Lodge, Pizza Company. This is our 3rd or 4th stay at Murphys Creekside. Stay here! Places we loved: Pizza Company, Foster & Logans, Bogarts all good! "The place was exactly as it was described in listing." "Very satisfied with ease of booking, amenities, hot tub, cleanliness and value for price paid. Service was fantastic." "Heather, weve stayed with you and a lot of different properties over the years, never have been disappointed! Just wish we could come 2 or 3 times a year to enjoy Red Lodge and the skiing. We really like coming here! Keep up the good work!" Very satisfied with "location, clean, comfortable." Local Shout-outs: "Skiing at Red Lodge was great!" We rented the Queen Anne Victorian plus another house for overflow. Still, we all gathered in the Queen Anne and it was perfect for games, meals & just gathering in and outside the various areas and rooms. A beautiful and impressive home. Perfect for our family. Great place with newer appliances, loaded with necessary amenities that cannot be packed! We loved everything. Your customer service was phenomenal! We enjoyed our stay - accommodations were great. Thanks for everything. A generally all round pleasant stay. Our mini-vacation in A Chalet exceeded our expectations. We loved the baskets of amenities, the hot tub, fireplace, everything was awesome. Talking about coming back next year.